Spirulina is an excellent food source for corals and fish that helps boost their immune system and enhance coloration and vitality. 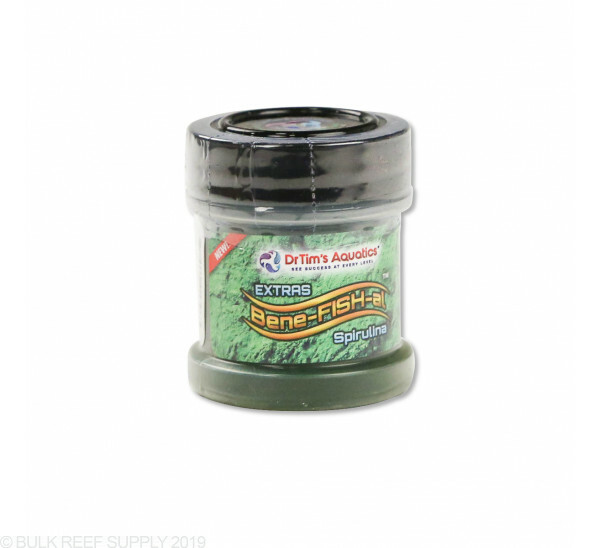 Dr.Tim's Bene-FISH-al Spirulina food is designed to work in conjunction with the Bene-Fish-al food system, but we have found that is works great on its own too! Spirulina is considered a super food, and is an excellent source of nutrients for both fish and corals. With high levels of protein, vitamins, and antioxidants, it is a great addition to any aquarium feeding strategy. Adding high-quality spirulina to your current feeding regime will help enhance your fish's energy, colors, and immune system. On its own - Spirulina is a great addition to other foods such as mysis shrimp or frozen food blends. Simply mix a small amount with the thawed food. Alternatively, you can add a small amount to a cup of tank water and let it sit for 5 minutes, occasionally stirring. Once it is rehydrated broadcast or target feeding methods may be applied. 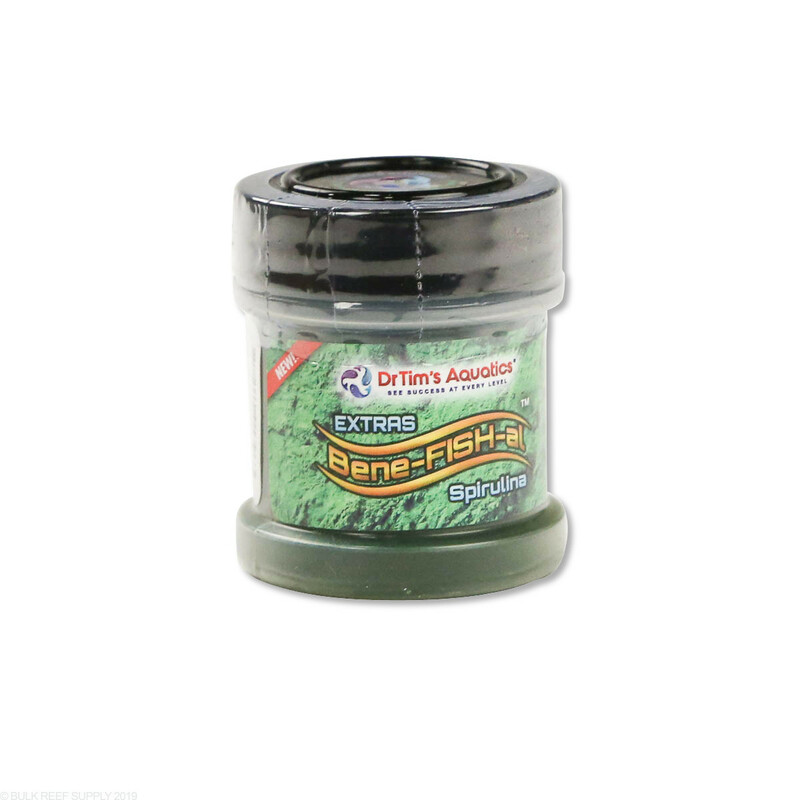 For Bene-FISH-al Food System - Sprinkle a small amount into the fish food after adding the boiling water and stir well.